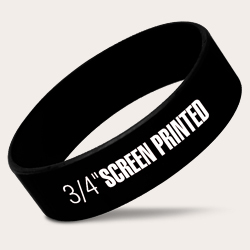 Sometimes it’s good to make a statement, and with our large wristbands you can certainly get your message across easily. 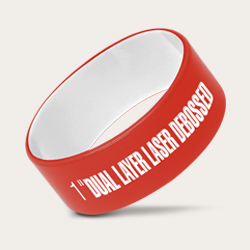 The extra space on our wider wristbands makes them perfect for a larger logo, custom message, or artwork. It also makes them stand out more, so they’re perfect from a marketing perspective if you want more visibility for your company or event. 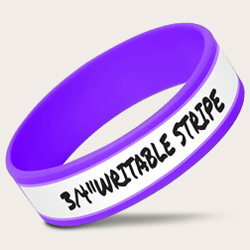 While our standard bands are 1/2 an inch in width, we also offer 3/4 inch wide bands, and 1 inch extra wide bands if you need a more distinctive option. 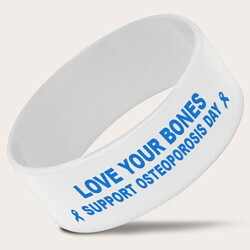 Like all of our quality silicone wristbands, you can customize all aspects of the design. Our large bracelets are also available in a length of your choosing. Our size large is, at 8 inches long, the universal size that’s generally suitable for adults, but if you’re looking for specialist bracelets for large wrists then our extra large (8.5 inches) is the perfect choice, and available at the customer’s request. If you’re unsure what size will fit you or the intended recipients, then our simple sizing guide on the website is perfect for finding out. Simply print it out (making sure scaling is set to ‘none’), cut out the size you’re considering, and see whether it fits - simple!